There’s nothing better than a from-scratch cream pie! 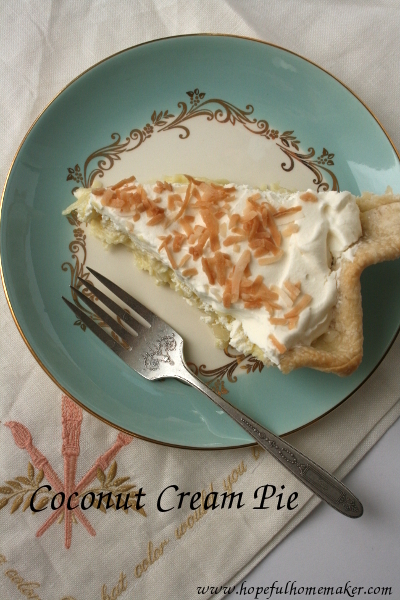 My husband is a big fan of coconut, which motivated me to perfect this recipe. 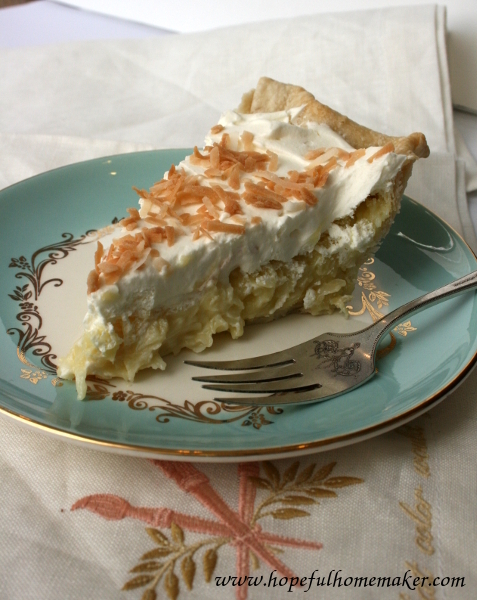 This coconut cream pie is often on the dessert menu at holiday gatherings and I always look forward to making it. Combine sugar, flour, milk and cream in a heavy saucepan. Cook over medium-high heat, stirring constantly, until thick and bubbly. Continue to boil for one more minute, then remove from heat. In a medium bowl, beat egg yolks. Using a 1/4 cup measure, gradually stir small amounts of hot cream mixture into the egg yolks, beating as you pour the cream mixture in. I slowly pour 1/4 cup at a time while I mix. Continue this until you have mixed 1/4 of the total amount of cream mixture into the egg yolks. Pour the yolk mixture back into the remaining hot mixture and return to heat, stirring constantly. Cook for 2 minutes. Remove from heat and stir in coconut. Pour into baked pie shell. Chill until ready to serve. 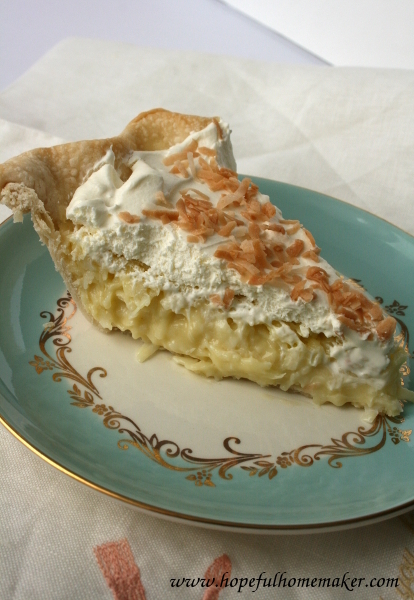 Before serving, cover pie with whipped cream and toasted coconut. Slice and enjoy! I put together a list of my favorite tools for making pies. You can find it here. I hope you love this recipe!